In order to keep your stone fireplace mantel looking great for many years to come, it is important to take the proper care and precautions. The following are some tips to keeping your mantel clean and free of damage for maintaining its appearance. When decorating your stone fireplace mantel, you should take special care not to scratch, gouge, or otherwise damage the stone. This means that you should avoid setting anything on your mantel without first using a mat or other protective covering. Do not set drinking glasses on your mantel without using a waterproof coaster to reduce water stains. For seasonal decorating, do not use nails, screws, or other items that might damage the stone of the fireplace mantel. Avoid adhesives, except those specially designed for use on stone. If you must have hardware attached, please have it installed by a professional to minimize potential damage. 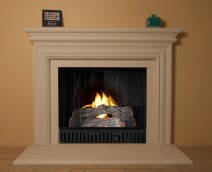 To keep your stone fireplace mantel from getting stained or looking dark and dingy, regular cleaning is important. Use an electrostatic duster to remove surface dust, because using a rag can push dirt and grime into the design patterns. When a deeper cleaning is necessary, make a gentle solution, such as dish washing liquid and water, and use a clean, dampened rag to clean small areas at a time in a circular motion. Rinse with a separate clean, damp rag until clean. If you are looking for a new stone fireplace mantel in Orange County, turn to SoCal Fireplace Mantels for a large selection.